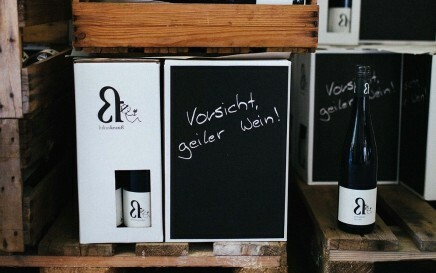 Weingut Krauß, Lambsheim is a member of Wein‑Plus and thus supports this wine guide. Thank you! By creating Weingut Krauß saved filter, you will see relevant matches on your home screen. The vineyards cover ten hectares of vineyards. They are with the white wine varieties Riesling. Green Valtellina. Kerner. Müller-Thurgau. Scheurebe. Sylvaner, Pinot Blanc ( Pinot Blanc ) and Pinot Gris ( Pinot Gris ), as well as with the red wines Blue Portuguese. Dornfelder, Black Riesling ( Pinot Meunier ) and Pinot Noir ( Pinot Noir ) planted. The management takes place since 1993 according to the guidelines of the Controlled environmentally friendly viticulture in Rhineland-Palatinate, The goal is the, beneficials to spare and the biodiversity (To promote biodiversity). Depending on the type of wine, the wines are aged in steel tanks or barriques. It will also grape juice, bottle fermented sparkling wine and Secco (Sparkling wine) produced. The winery is a member of the Vereinigung Riesling association.